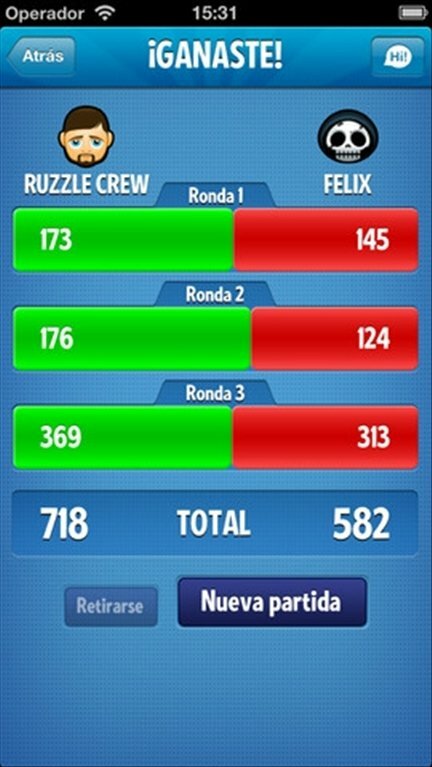 If you like word games and pastimes, you'll love Ruzzle. This is a fun game where you'll have the chance to prove your skill with words. Slide your fingers across the screen to form words. Ruzzle is frantic. 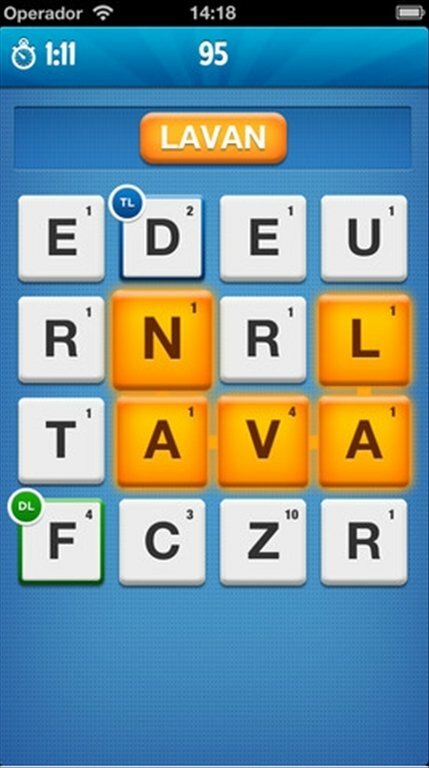 Hurry up and construct more words than your rivals, simply sliding your finger across the screen to join the letters. You can challenge random opponents or play against your friends. The more words you form, the more points you get. Some letters are more complicated to include in a word. Use them to gain extra points. 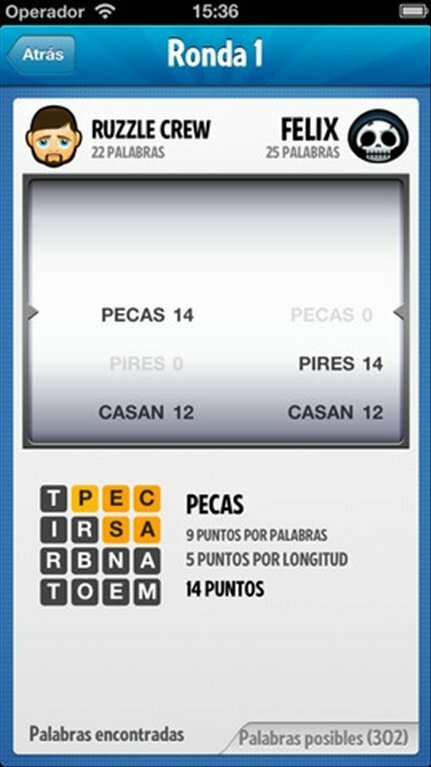 Try to create longer words, as these also gain you a higher score. 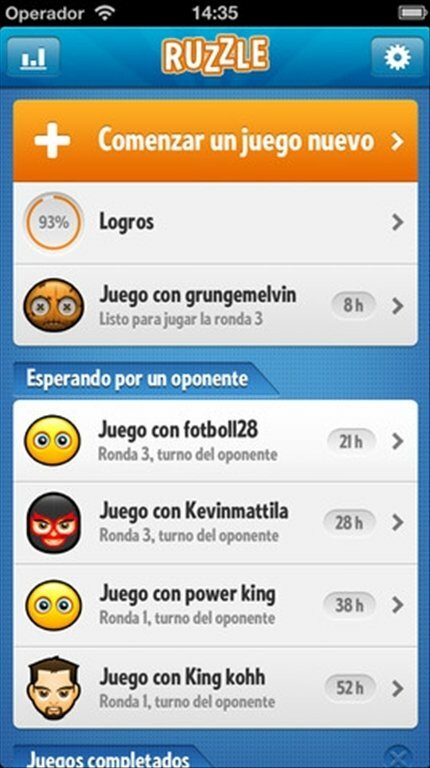 Download Ruzzle free for iPhone right now and show off your language skills.